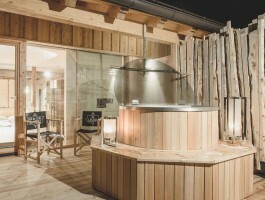 Pine wood, full of cosiness, rock showers, natural stone basins, free WLAN, flat screen TV, room safe, separate toilet, balcony, private ski and bike storage (24 m²). 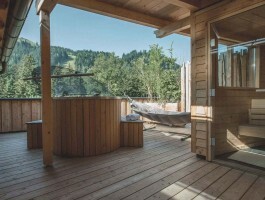 Pine wood, rock showers, natural stone basins, free WLAN, flat TV, room safe, separate toilet, balcony, private ski and bicycle storage (24 m² ), free standing bath tub (28 m²). 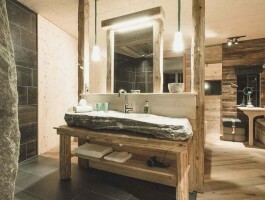 Pine wood, rock shower, natural stone basins, free WLAN, flat screen TV, room safe, balcony, private ski and bike storage, free standing bath tub with a dream view of the Pinzgau Mountains and small private sauna to relax in (30 m²). 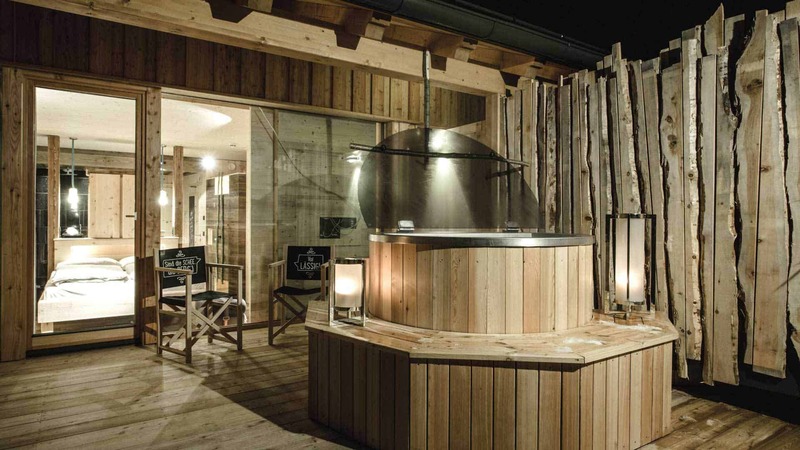 Pine wood, rock shower, natural stone basins, free WLAN, flat screen TV, room safe, separate toilet, private ski and bike storage, private roof terrace with a private hot tub under our heaven tent (24 m²). 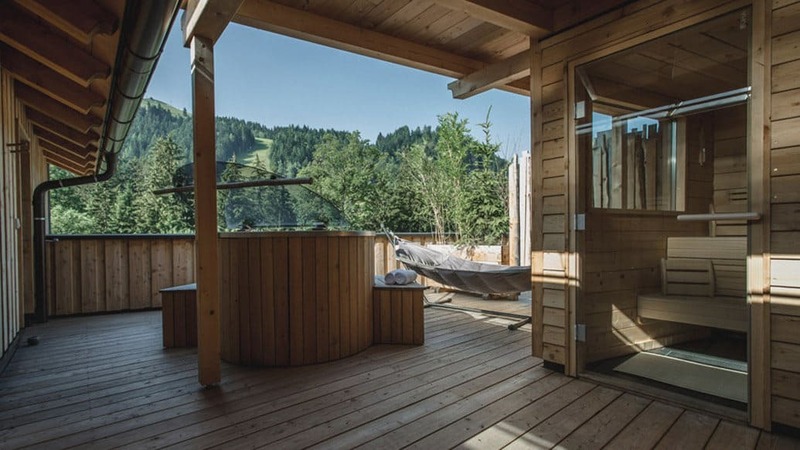 Pine wood, rock shower, natural stone basins, free WLAN, flat screen TV, room safe, separate toilet, free standing bath tub, balcony, private ski and bike storage and private large roof terrace (40 m² ) with private hot tub, private outdoor sauna and limitless freedom (26 m²). 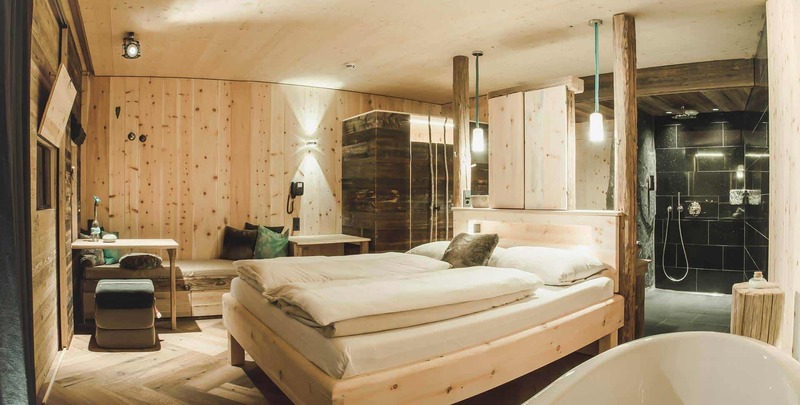 After a full day of outdoor experiences in the mountains of Salzburg province, mama thresl hotel awaits you with the luxury of cosiness and comfort in all rooms: to unwind, refuel, surf, chill out, freshen up…and of course to sleep. 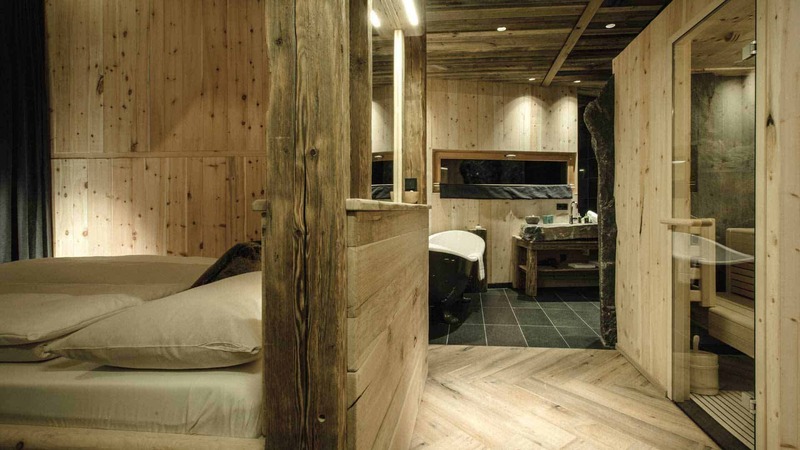 You can look forward to the exquisite scent of native pine wood which our hotel rooms are made out of. It is fragrant and does wonders for the body and the soul. In the rock showers, you will find pure refreshment. 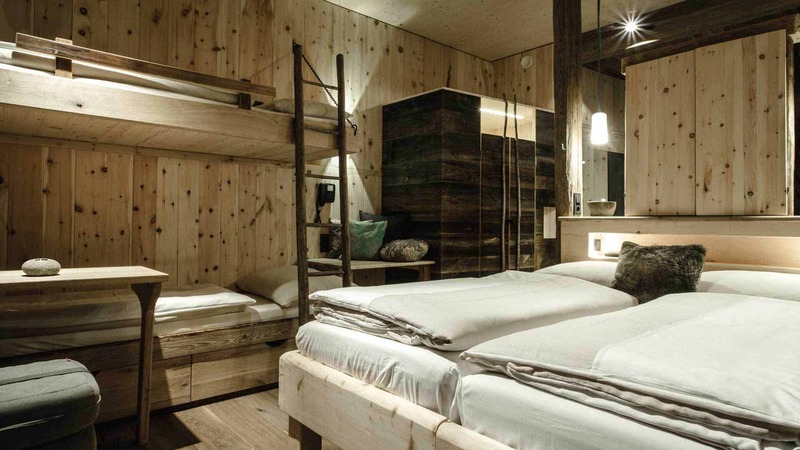 Of course, there is also complementary high speed WLAN, flat screen TV, a room safe for your valuables, a separate toilet and a balcony with a view of the mountains. 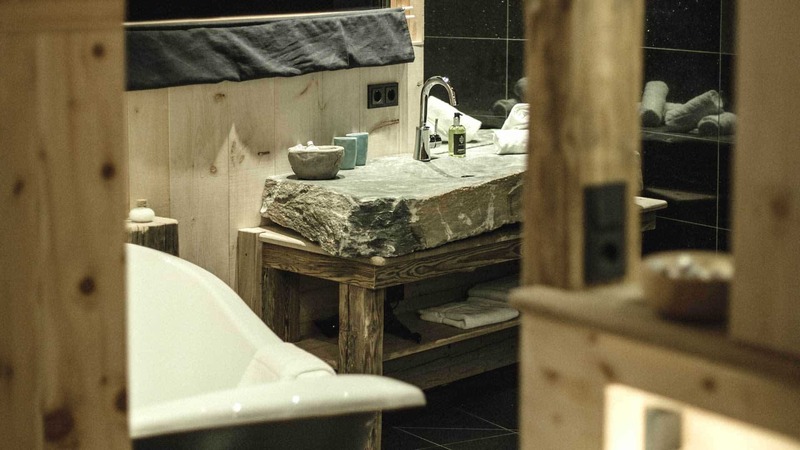 Some rooms have – perfect for relaxation – a free-standing bath tub with a view of the Pinzgau mountains on the eastern edge of the Kitzbühel Alps.